The Demi sweatpants take comfort to an entirely new level and the bow is perfectly placed adding a bit of feminine fun to the look. The Tylie Tee is a relaxed oversized top that you will rock with your skinny jeans or leather leggings. The Duffy Hoodie is all about the comfort, cozy look for fall. 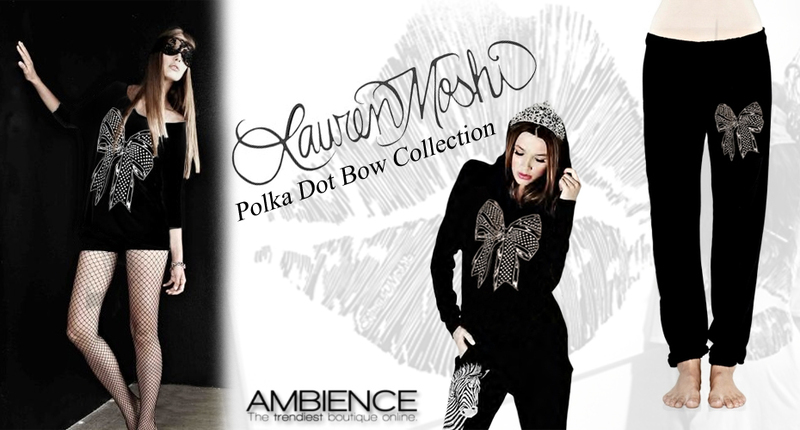 The polka dot bow makes relaxing look better than ever.